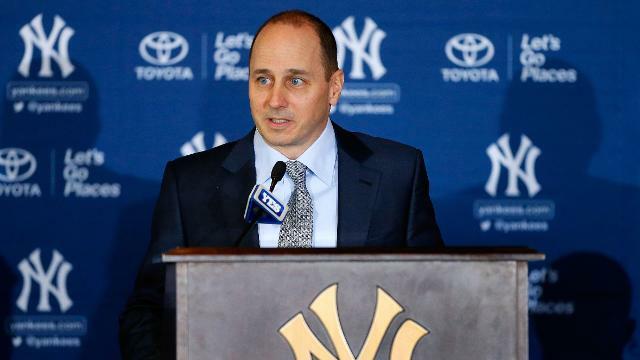 The New York Yankees will field an Appalachian League affiliate in Pulaski, Virginia, next season after town officials and ballpark management announced the news alongside Yankees general manager Brian Cashman on Tuesday afternoon. The Yankees' new Rookie-level affiliate will play at Pulaski's Calfee Park next June after the Seattle Mariners opted to pull their farm team out of the Virginia city last week. The club's new affiliate has not officially been named yet. According to a report in The Roanoke Times, Pulaski's Calfee Park, built in 1935, will undergo a renovation this winter, with upgrades for new seating, parking, concession areas, new clubhouses and a new pressbox. The total face-lift, funded by the ballpark's new owners, is expected to cost between $3 and 3.5 million. The Times reported that David Hagan and Larry Shelor, owners of Shelor Automotive Group, purchased the Appy League affiliation associated with Calfee Park earlier this year before buying the stadium itself last week for $100,000. That sale is expected to be finalized later tonight by the town council. Cashman attended a press conference with the new owners and indicated the organization would be sending roving instructor and Hall of Famer Reggie Jackson to work with the team's players next season. "We're all a big family," Cashman said. "Hopefully we'll provide for you some tremendous memories of Yankee stars of future years." "Pulaski Yankees has a nice ring to it," Hagan told the Times. Calfee Park, which holds just 2,500 fans, was constructed in 1935 as part of a Works Progress Administration project. It was renovated in 1999 but was left empty in 2007 after having been a Blue Jays affiliate from 2003-06. The Mariners moved in for the 2008 season, but concerns grew earlier this year over the stadium's condition and facilities, prompting Pulaski general manager John Dittrich to seek funding for a renovation in March. Park manager Blair Hoke said that the club is aiming to increase attendance from 800 to 1,500 fans per game in the renovated park in 2015. The Yankees fielded two GCL affiliates in the 2014 season, both of which made the league playoffs. "A little bigger, newer, better facilities. Nicer. The plumbing is old. The walls are old. There's leaks, there's things," he told WDBJ7.com in March. "We can live with them but we've been living with them a little too long." The report also said a $1.5 million housing complex will be constructed for players near the ballpark -- Mariners farmhands have lived in a motel in Wytheville, Virginia, in the past. Pulaski has hosted Minor League teams from the Phillies, Cubs, Braves, Rangers, Blue Jays and Mariners since 1952. The ballpark's first tenants, the Pulaski Counts, were a Brooklyn Dodgers affiliate that played in Pulaski in 1942 and again from 1946-50. The venue is also listed on the National Register of Historic Places. We would like to welcome our NYC rivals, the Yankees to Pulaski and the Appalachian League. The B-Royals welcome the Pulaski... Yankees into the Appalachian League.